Amanda who owns the cattery where we board the majority of our cats took Pollyanna in a few days ago as sadly her owner is very ill indeed and cannot take care of her anymore. 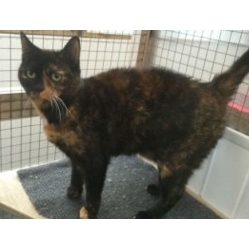 So we have taken her under our wing to find her another new loving home. She is spayed, micro chipped and has re-started vaccinations as they had lapsed. 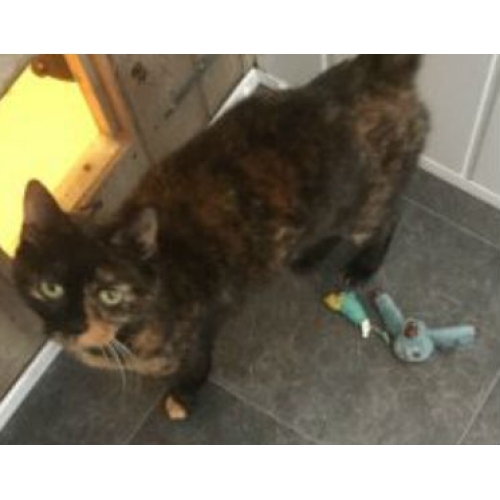 Pollyanna was very nervous upon arrival but that was probably the shock of it all, the video shows just how confident she is, in fact she’s a typical Tortie in that she knows her own mind and can be a sassy girl, but mostly she is great! 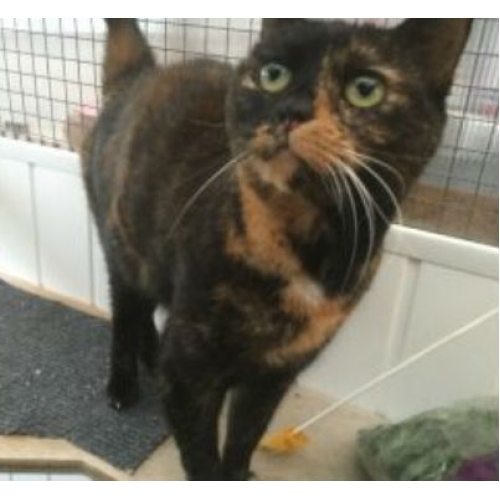 She requires a pet free home as we believe she’s never lived with other animals.